This book is the latest in the series of Worst Witch novels begun in 1974. In this adventure Mildred, Maud and Enid return for their fourth year at Miss Cackle’s Academy for witches. 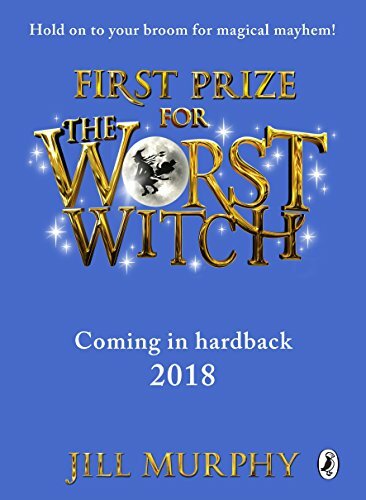 There is a ceremony known as Fourth Year Firsts, where trainee witches are given prizes for their work to date. Everyone knows that Mildred’s arch enemy, Ethel Hallow, will win several prizes. She is odious but magically talented. All the girls want to win the coveted position of Head Girl for their last year at the academy. The appointment is made by the Head and her deputy. Does Mildred have a chance? Mildred has a trademark gift. She makes well-meaning but hilarious mistakes which end up working out well for her and her friends – though less well for Ethel. In this escapade she comes across a circus and talking animals. Murphy’s unique talent is to combine a typical boarding school yarn with illustrations that bring the story within the compass of very young or struggling readers. For many years now Murphy has provided excellent read aloud material for teachers, librarians and parents – and this latest book is well up to her distinguished mark.